Enlisting Masculinity explores how the U.S. military branches have deployed gender and, in particular, ideas about masculinity to sell military service to potential recruits. Military service has strong historical ties to masculinity, but conscription ended during a period when masculinity was widely perceived to be in crisis and women's roles were expanding. The central question the book asks is whether, in the era of the all-volunteer force, masculinity is the underlying basis of military recruiting appeals and, if so, in what forms? It also asks how women fit into the gendering of service. Based on an analysis of more than 300 print advertisements published between the early 1970s and 2007, as well as television commercials, recruiting websites, and media coverage of recruiting, the book argues that masculinity is still a foundation of the appeals, but each branch deploys various constructions of masculinity that serve its particular personnel needs and culture, with conventional martial masculinity being only one among them. While the Marines rely almost exclusively on a traditional, warrior form of masculinity, the Army, Navy, and Air Force draw on various strands of masculinity that are in circulation in the wider culture. The inclusion of a few token women in recruiting advertisements has become routine, but the representations of service make it clear that men are the primary audience and combat is their exclusive domain. 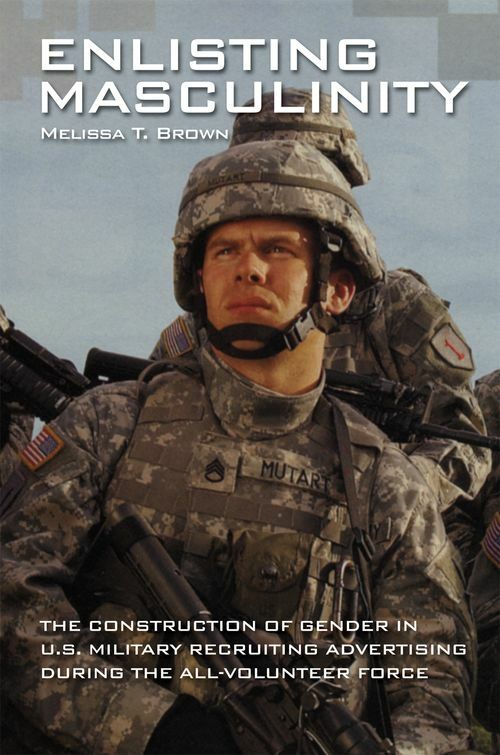 Although most Americans believe they can ignore the military in the era of the all-volunteer force, when it comes to popular culture and ideas about gender, the military is not a thing apart from society, and military recruiting materials are implicated in our broader conceptions of masculinity and of military service.